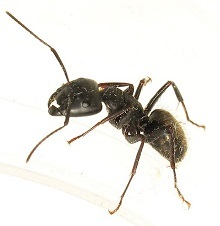 Odorous house ants are the most common of ant problems we face in the Portland Oregon Metro Area. Their common name of “house ants” or “sugar ants”, they come in and spoil your food, leaving trails for thousands of more ants to follow. They can cost you hundreds of dollars just in replacing food alone. During the rainy spring and fall season, the pesky pests travel more and more indoors for shelter and food. Cities and suburbs have become the prime real estate for these creatures building their colonies in your home or yard easily with an abundance in shelter, food and water. You may find them colonizing in brick walls, crawl spaces, leaf piles, potted plants or more. A common practice most people have taken to ridding their homes of this problem is ant bait. You can easily find this at the most major grocery and hardware stores. The difficulty you will find in Ant bait is that it is a long and ongoing process which takes a lot of time and patience with results that prove little effectiveness. Other solution people may try to rid themselves of the ant problems they are having is liquid spray. The problem with this is how weak the solution may be as a final result. 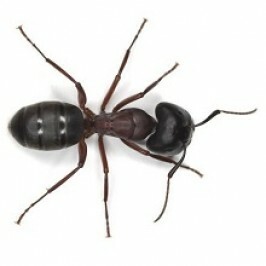 Spraying to little or in the places not needed may cause fewer effective results than ant bait. If your shrubs are touching the house, then you’re providing the ants with essentially a bridge to bypass any chemical treatment applied over the ground or foundation wall. An investment into a pest management service is your effective strategy to take with the proven results. Evergreen Pest Management’s expert technicians are trained to know which strategies for which conditions are going to be the most cost-effective for Portland’s pest common problem, your odorous house ants. Evergreen provides safe solutions for your family, wallet, and the environment.